Lounge All the cottages are equipped with TV/DVD in the lounge. Also in each bedroom. Twin Room Freestanding furniture and a fully tiled shower room. 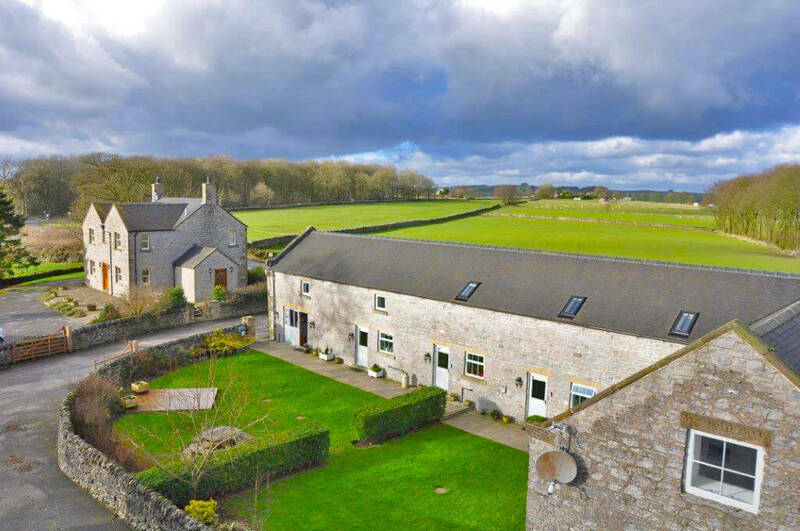 Tagg cottage is a light and airy property boasting a quality feel with modern soft furnishings. It truly is a home from home with every detail having been carefully considered. The cottage is part of 5 luxury accommodations based in the private grounds of a working farm and is perfect for couples, families and large groups. For budding walkers and cyclists, there are two excellent cycle and walking paths on the doorstep. The cottage has been decorated in a contemporary style with plush leather sofas and flat screen TV in the lounge area. There is a fully fitted, country kitchen/diner for comfortable open plan living with a fridge/freezer, dishwasher, microwave and all you could need during your stay. The property has wooden flooring downstairs which is practical for dogs and muddy boots from walking and upstairs, all (change all to Both) the bedrooms have the benefit of high ceilings with the original wooden beams. Every room is well designed and has a comfortable and calming feel. Upstairs there are two well-proportioned bedrooms to sleep 4 people, 1 double and 1 twin bed. 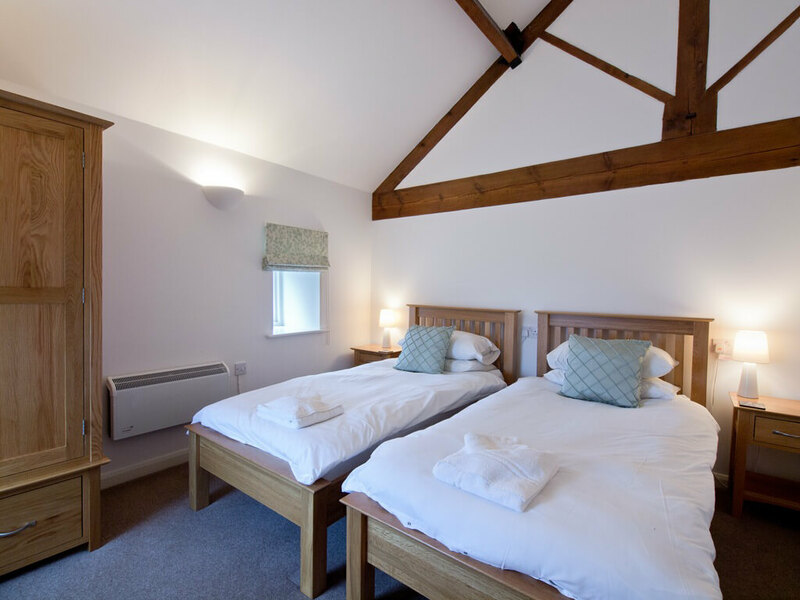 The twin bedroom has an ensuite shower room whilst the double has an ensuite shower and bath. Each bedroom has the additional benefit of a TV/DVD should you want it. 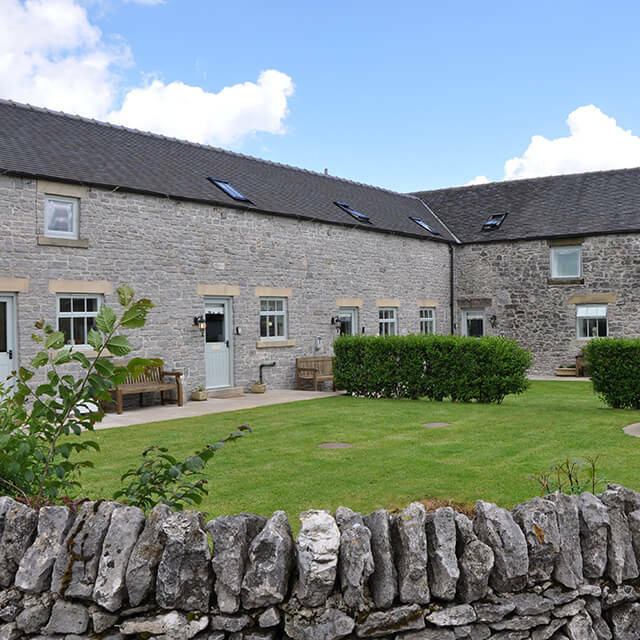 This comfortable, well-appointed holiday cottage is the perfect place for couples and families to get away from it all and rest and recuperate after a long days exploring the Peak District. 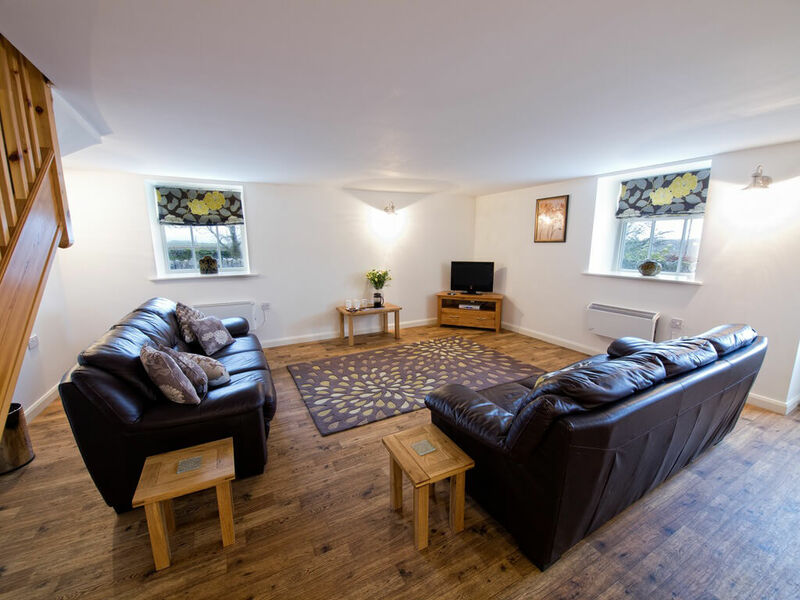 The cottage has been decorated in a contemporary style with plush leather sofas and flat screen TV in the lounge area. 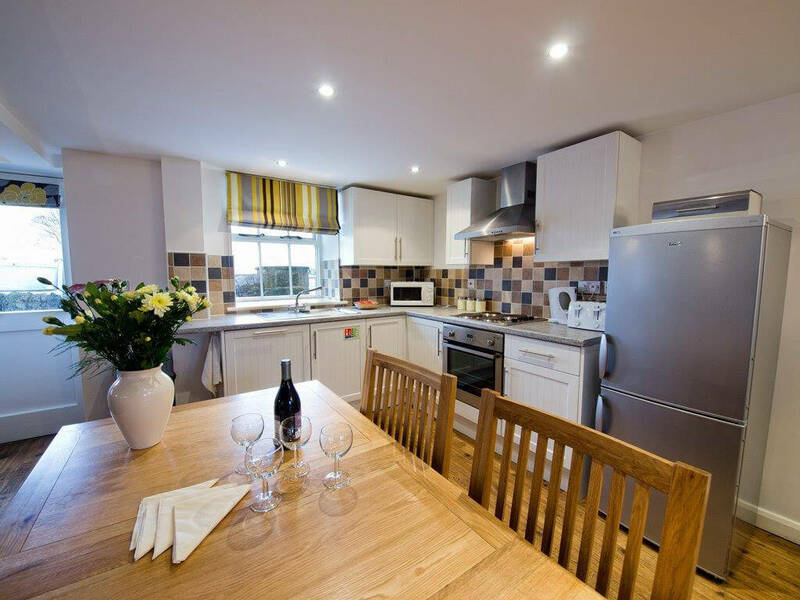 There is a fully fitted, country kitchen/diner for comfortable open plan living with a fridge/freezer, dishwasher, microwave and all you could need during your stay. The property has wooden flooring downstairs which is practical for dogs and muddy boots from walking and upstairs, both the bedrooms have the benefit of high ceilings with the original wooden beams. Every room is well designed and has a comfortable and calming feel. 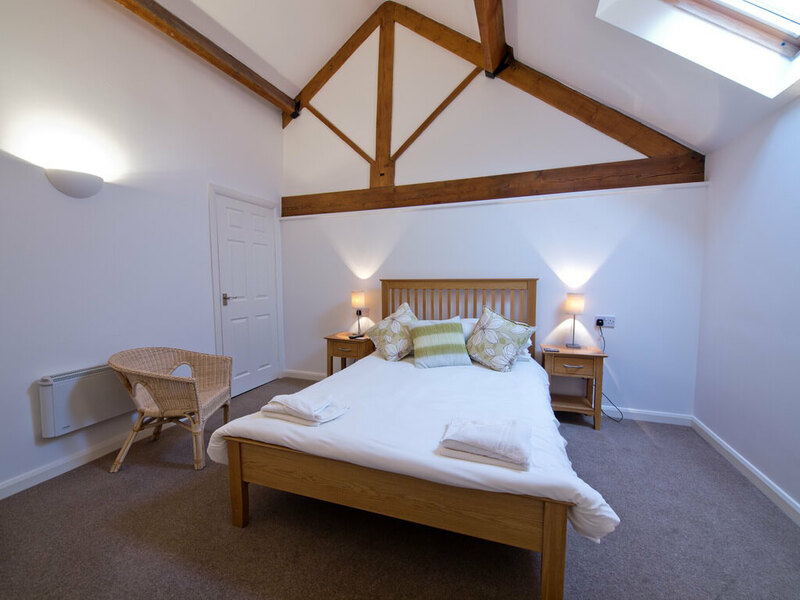 Upstairs there are two well-proportioned bedrooms to sleep 4 people, leading from a small landing one door enters a double bedroom with an ensuite shower and bath and another door enters in to a twin bedroom with an ensuite shower room. Each bedroom has the additional benefit of a TV/DVD should you want it. 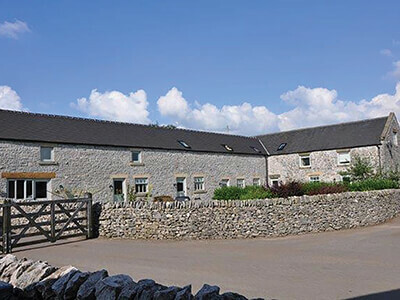 Endmoor Farm cottages can receive food deliveries from a number of supermarkets or if you prefer to support local business then there are lots of businesses nearby that supply a variety of produce from farms and local shops. Tagg cottage accepts well behaved pets. At Endmoor Farm cottages, we love dogs and we understand that pets are part of the family. The Peak District is perfect location for dog walks with plenty of routes suitable for dog walking. 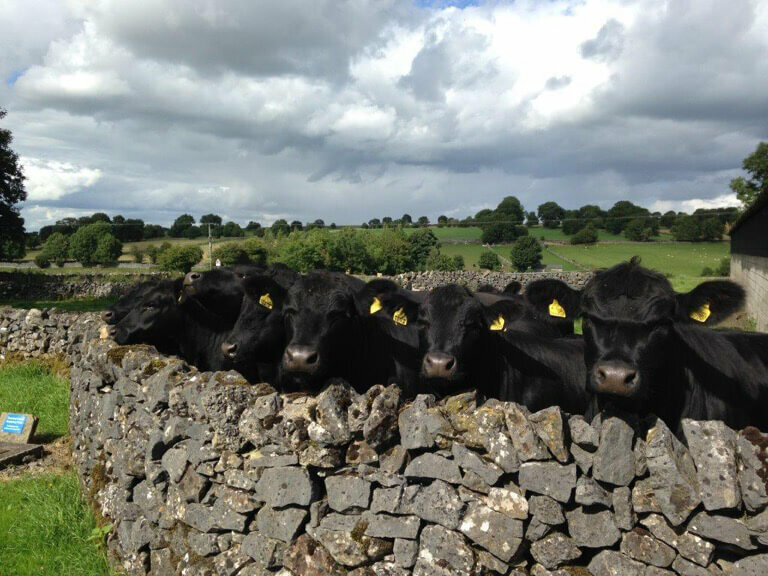 You can walk your dogs down Lathkill Dale, or walk across the Limestone Way. Dogs, cats and other well behaved pets are all welcome, and your pets stay free! We would ask that you please do not leave your dog in the cottages on their own. 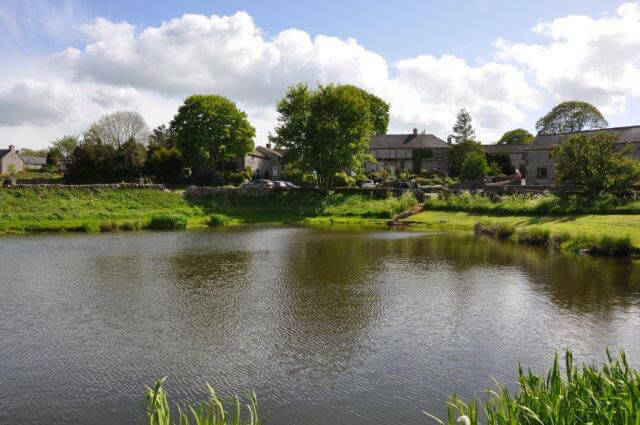 Nestled close to the village of Monyash, Tagg cottage has the benefit of being situated in beautiful countryside but also a short drive from the pretty spa towns of Buxton and Matlock. For the kids, big and small, Gulliver’s Kingdom theme park is only a 25 minute drive away.